So we are past the mid point of summer now, and I don't know about you, but I am really feeling the summer vibes at the moment. I have been wanting to build up that bronzed look, but without heading out into the sun. It's the look we all want - a bronze, sun-kissed look - but I for one don't want to head out and spend hours in the sun, damaging my skin and risking myself for future damage all for beauty. My problem, however, is that fake tanning has always terrified me a little bit. All I can think about, when it comes to fake tan, is turning out orange. During 2018 I got two spray tans in preparation for my wedding and I loved it. There was something so glamorous about being tan that I got intrigued. Not wanting to fork out $40 each month or so to keep up my spray tan (girl is trying to budget), I was excited when Bali Body asked if I wanted to try their new Self Tanning Mousse*. It was officially time for me to pop my tanning cherry and have a go myself at home. Bali Body is an Australian Made, Vegan Friendly, Natural skincare brand that range of tanning oils, bronzing lotions and skincare. All the products are vegan friendly, made in Melbourne and strictly tested on Bali Body Babes. They use naturally derived ingredients because they believe when you have glowing skin, you glow from within. You might remember that I tried some of their skincare products during late 2018, you can catch up here if you missed it. The Self Tanning Mousse is the latest release from Bali Body. It is designed to help you achieve a flawless natural looking tan with our easy to apply, fast drying & lightweight tinted tanning mousse. No self tan smell. Formulated with colour guide technology to tailor your desired tan to your skin tone. Enriched with nourishing oils & 100% natural DHA for smooth, hydrated and perfectly bronzed skin, every time. 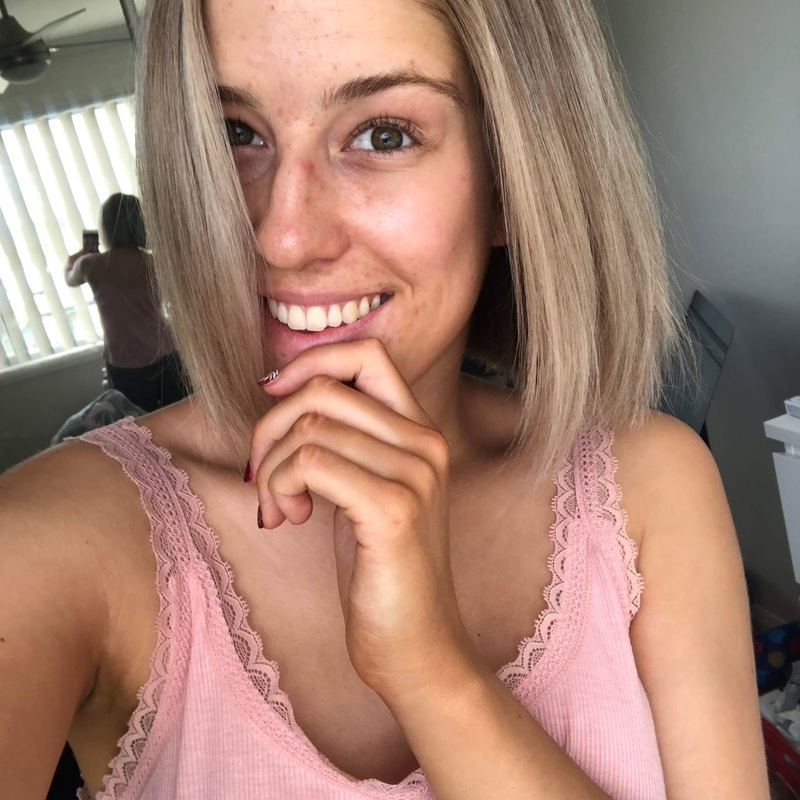 If you're a tanning newb like me, let me walk you through the process I go through when I am tanning (and that I undertook while trialing this tanning mousse). The first step is to always exfoliate really well. This helps remove any dry skin that might make your tan go streaking and gives her the best base for the tan to adhere to. I will typically shave a day or two before I am planning on tanning, because I find the also helps with an even application. My go-to body scrubs for when I am tanning are the Frank Original Coffee Scrub* and the Prettea Dirtea Green Tea Mint Body Scrub*. I prefer these two because they are drier scrubs that don't leave a thick oily residue on my skin, which also helps the tan to go on smoother. Make sure you exfoliate everywhere, focusing on any dry areas - knees, elbows and feet in particular. Once I have scrubbed and jumped out of the shower, I grab a small amount of moisturiser (like the tiniest amount) and apply it to my knees, feet and elbows. This, again, just helps the tan go on evenly and will help reduce streakiness around the dry areas of your body. I find the Bali Body Luxe Moisturising Lotion* works best as it's hydrating but lightweight, so won't affect your tan. The next step is to apply the tan. I have been using Bali Body's Luxe Tanning Mitt* to apply the mousse. I simply put one or two pumps of the mousse on the mitt and then massage into the skin in circular motions. I focus on my legs first, using two pumps for the lower part and two pumps for the upper. I then take my mitt, without any additional product on it, and go over my feet. I then do my torso with two pumps, and two pumps for each arm, repeating the same process I did for my feet on my hands. Dave then helps me with my back, with two pumps again, because otherwise it ends up super patchy. I then take the mitt, again without any extra product, go over my face. After some trial and error, I have found I get the best results in a short amount of time if I reapply, following the same process as above, again half an hour later. 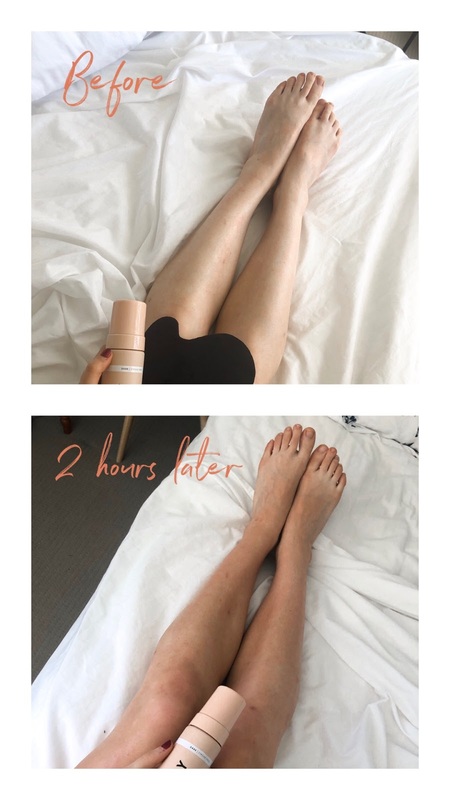 If you're wearing your tan to bed before washing it off, or planning on sitting in it for a longer period of time, you might prefer not to do this, but I find that it works well for me as it helps to minimise the time it takes to develop. For me, the optimum time to keep the tan on for is five hours. The bottle says you can wear it for 1 hour for a lighter tan, or four to eight hours for a medium to deep tan. The first time I tried the tan out I wore it for about 2 hours and found that it was very light and washed out quite quickly, only lasting a day or two. The five out mark came out perfect for me - deep but not orange. It is really up to you, as to how dark you want it. Once you have rinsed off the tan and the water has run clean, jump out and slather your body in moisturiser. I, again, used the Bali Body Luxe Moisturising Lotion*, as I found it was perfect for the summer heat - lightweight but still hydrating. I cover myself in the moisturiser and continue this every morning and night as well. This helps to prolong the tan and help it to fade evenly, with no streaks. I have been tanning about ever week and a half with this, through the month of January and as someone who has never tanned before and was a little bit terrified about trying it myself at home, I have found the Bali Body Self Tanning Mousse pretty fool proof. As long as you make sure it looks even when you apply it it will come out even. It is pretty easy to see if you have missed any spots from the caramel colour of the foam. Compared to the streaky gradual tan I remember using growing up, this is just as good as a spray tan. It leaves a beautiful, bronzed glow on the skin.